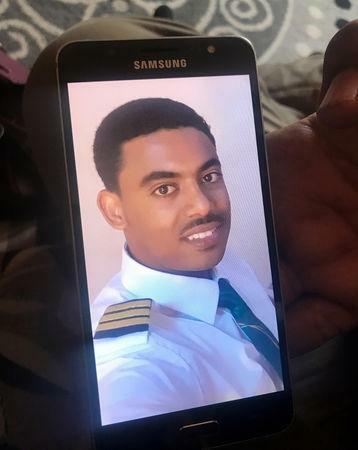 Yared was a popular and brilliant student who became the airline's youngest ever captain at 27, said his father Getachew Tessema, a retired plastic surgeon and dentist. He spoke to Reuters after a ceremony at the Kenyan embassy in Addis Ababa to honor the 32 Kenyan victims from the crash. Yared's mother was Kenyan, making him a citizen of two nations. "I'm very bitter," 80-year-old Getachew said, sitting hunched with his head in his hand as he reflected on Yared's shattered marriage plans. "At least if he had had a child," he trailed off painfully as friends nodded in understanding. Yared's brother Meno Getachew Tessema, 39, sat next to his father, sometimes putting an arm around him as the ceremony progressed. Yared visited Meno's family in Toronto when the young pilot came to train on flight simulators in Miami twice in the past two years. By the time of the crash, Yared had amassed 8,100 hours of flying experience, the airline said, unusual at his age but no surprise to the family. They remembered him as a committed student who shone at school as a child in his mother's native Kenya and as a teenager in his father's home country Ethiopia. He went straight into Ethiopian Airlines' Aviation Academy after high school. "His dream was to be a pilot," said Meno, a corporate lawyer. "He was diligent, hardworking, he had a consistent work ethic ... he was a rising star of Ethiopian Airlines." While the pair's professionalism has been lauded, air safety experts fear they - and pilots in a similar crash in Indonesia in October - may not have been sufficiently versed in a new automated anti-stall system in the Boeing 737 MAX series. Even as a student, Ahmednur's skill earned him some small interior design commissions, friends said. So he switched to aviation school and completed two years of training. After school hours, he would visit a friend whose brother was a pilot and sit in the living room, running through cockpit checklists and motions on the couch, the friend said. He graduated with a commercial pilot's license, the airline said. "He would call me every three days. 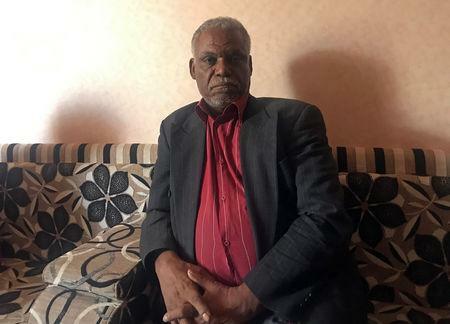 He would talk about his plans, he said that he was going to help his family," his father told Reuters after Islamic prayers in Ahmednur's memory at a relative's house on the outskirts of Addis Ababa. After a few months rest, he began working for Ethiopian Airlines, visiting other nations -- Israel, South Africa, Burkina Faso -- and earning his first salary. "It took us long to believe he was dead," his cousin Imran Mohammed, 30, told Reuters. "He was so excited to live on his own." The family wants the airline or government to build a bridge or a school, something tangible to commemorate Ahmednur: pilot, architect, son. "We want to see something in his name, to remember him," his father said softly.